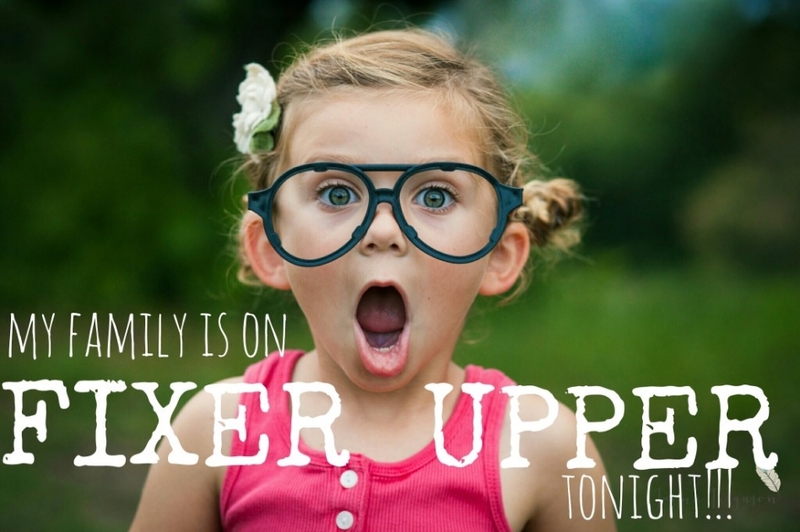 Our little Caroline is so excited to announce the news…we’re on HGTV’s Fixer Upper tonight! Woot Woot! We are beyond grateful to have had the opportunity for the talented Joanna Gaines to design our house while Chip worked his fabulous construction magic. It could not have been a better way to transition to a new home from living in another city for so long. Just a year ago we moved to Waco for Kyle to embark on a new adventure in the restaurant business, partnering with his good friend, Shorty, of Shorty’s Pizza Shack…mmm (if you haven’t eaten there yet it truly is delicious…beyond delicious…but I digress). I enjoyed watching “Fixer Upper” season 1 when we still lived in Austin, but I never dreamed we’d be the excited homeowners having our house revealed by a gigantic poster one day. Seriously, the enormous poster really is the cherry on top bonus, right? After briefly living in Waco and feeling overwhelmed with choices I decided to apply for the show. Low and behold we were chosen. AUGHHHH! That was my first reaction after being told the news. You know that scene in “Love Actually” where Laura Linney does the happy dance? Well that was me…happy dancing in our duplex in Waco. Eeeek! Everything past that was an exciting blur…a worthwhile, nerve-racking worth-it blur! We’ve currently only lived in our “new” house since the very beginning of August and could not be more happy with Magnolia and the Gaines’ beautiful work. 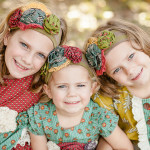 They really hit a homerun for our family, honing in on our style and wish list! We are excited and thankful to be back to our green and gold roots (heeeeey, sic ‘em, Bears!) in Waco, living in this beautiful home that perfectly suits our lifestyle. Gratitude is the word that comes to mind most when I think about our experience. I’m just so beyond grateful. If you watch the episode tonight I sincerely hope you enjoy it! We are excited AND nervous to watch it to be quite frank. The whole tv process for Kyle and me was daunting. I would have LOVED for Chip and Jo to renovate our home with no tv show, but alas, that is no longer an option. However I love the show, so I embraced the experience! So while I might be awkward at times (the entire reveal day of filming I could barely speak because I was so overwhelmed–in a great way), and I might use the same 5 vocabulary words during the real estate segment (disclaimer: the houses really were “cool” and “awesome”) to show my approval, just know that off camera I’m a little more comfortable in my own skin…and more apt at forming a sentence. Can anyone else relate to cringing when they hear themselves speak?! Yes? (we are kindred spirits). No? (I’m quite jealous)! Tonight I’m going to concentrate on the fact that it’s not about how my voice sounds (truth! ), but rather the beautiful work–or “Magnolia magic” as I like to say– these two and their team are able to pull off week after week on houses that are crying out for help. So while I might cringe at watching myself tonight, it has been completely WORTH IT! Eeek! Happy dance! “Are you ready to see OUR Fixer Upper? !” WE SURE ARE! Have a great week, and thanks for stopping by! Just watched a “Clips” show from Fixer Upper and was reminded of the house renovation that Chip and Jo did for your family. When I first saw the show, I thought I recognized you from another show about a real estate family in New York City. After reading your comments on this website, I’m thinking I must be mistaken, but I’d still like to know, if you don’t mind answering! If that is not you, know that you have a twin about the same age in NYC! Thanks, and best wishes to you and your family.